It's coming up to that time of year again... or is it? In Spain the celebrations really don't reach a peak until the 6th January! … So what else is different at Christmas? Generally speaking the Spanish tend to celebrate the Day of the Epiphany instead of Christmas Day. Traditionally the Epiphany, also sometimes called the Three Kings' Day, was the day the Three Kings bought gifts to the baby Jesus. Now it is usually celebrated by processions and parades taking place on the 5th January. According to tradition, children will leave their freshly polished shoes out on the evening of the 5th ready to be filled with presents over night. In the morning they open their gifts. Similar to the UK, Spain has a Papa Noel, but he is more of a recent holiday tradition, inspired by other cultures. Some families celebrate and exchange presents both on Christmas Day and on the day of the Epiphany. Others just stick to one. Food is a really important part to Spanish Christmas. The holiday season ranges all the way from Christmas Eve to the Epiphany Day with five key meals in between: Christmas Eve dinner, Christmas Day lunch, New Year's Eve dinner, New Year's Day lunch and finally the Three Kings' Day lunch. It's an extravagant time! So what are some of the main dishes? Langostinos are a really big one. 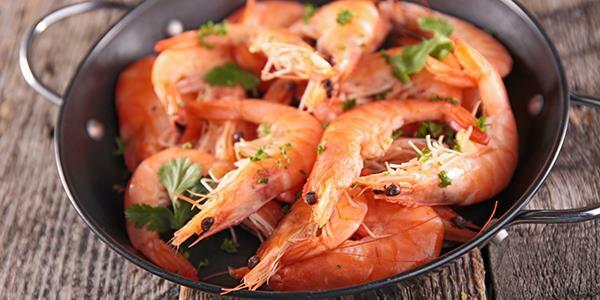 A lot of sea food is eaten during the holidays in Spain, and shrimp are always a favourite. Boiled shrimp are used in salads and savoury tarts etc, or langostinos (king prawns) are served piled onto whole plates with a sprinkle of salt. There are many different ways to prepare the langostinos once boiled. Some families prefer them with a salsa sauce and Tabasco. Romesco sauce is a common one to serve them with and this is made from red peppers, garlic and nuts. Roscón de Reyes or King's Cake is traditionally eaten during the Epiphany celebrations on January 6th. It is a doughnut-shaped sweet bread that is decorated with colourful dried fruit (pictured top of page). Traditionally the sharing of the bread is when the family would sit down to remember the the Three Kings and will usually be eaten as a snack or pre-dinner, so that the whole family is present to enjoy it. It is quite conventional to bake a figurine of the baby Jesus into the cake, which represents the biblical account of the flight of the Holy Family. Apparently the person to discover the figurine in their slice is the blessed one! Turrón is the usual Christmas sweet in Spain. 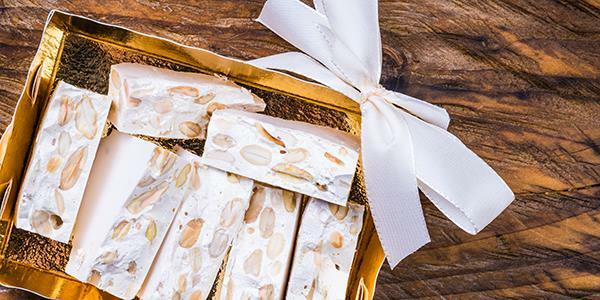 It is a nougat that is made of toasted almonds, honey sugar and egg white. It is often eaten as a dessert as well as a sweet. There are two different types: hard and soft. The former is is more of a brittle block while the latter resembles more of a paste. Though the main ingredients remain the same, Turrón comes in a number of different flavours. Lots of light and lots of colour! Decorations are of a similar theme to the UK in this respect. If you happen to be in Spain during the holiday season expect to see a lot of colourful lights and decorations adorning doors and windows. 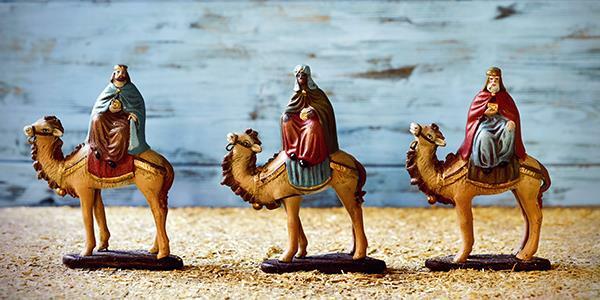 Because of their focus on the Epiphany, you are also likely to see nativity scenes and figurines of the Three Kings sat on windowsills or mantlepieces. Find out how to stay in Spain for yourself by entering your details at the bottom of the page.